NEW CASTLE, PA. (THECOUNT) — Todd Walker has been identified as the victim of a fatal New Castle, Pennsylvania shooting on Thursday morning. Walker, 32, was found shot dead inside a home in New Castle on Thursday morning, police said. 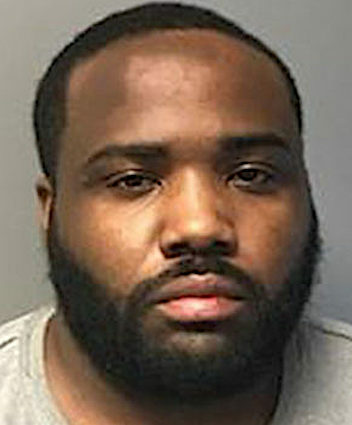 Isaiah Angry (pictured) been arrested in the deadly shooting. Officers were called just before 8:30 a.m. to the home on North Lee Avenue, where Walker’s body was found with gunshot wounds. Angry fled the home following the shooting. Detectives determined he was their suspect with the help of witnesses who picked him out of photo lineups, authorities said. After a “be on the lookout” was put out for Angry, a police officer received information that a man was in a wooded area off Boston Avenue. The officer located the man, who turned out to be Angry, and took him into custody, reports WPXI. Charges against Angry include criminal homicide. Geo quick facts: New Castle is a city in and the county seat of Lawrence County, Pennsylvania, United States, 50 miles northwest of Pittsburgh and near the Pennsylvania–Ohio border just 18 miles east of Youngstown, Ohio. The population was 23,128 as of the 2010 census. It is the commercial center of a fertile agricultural region – Wikipedia.